When they are doing their job effectively, you might not pay any attention to the outdoor lamps that illuminate your nighttime path. 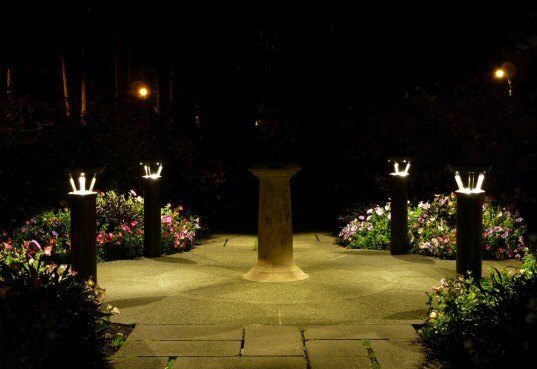 But the recently launched Solar-powered Bollard Lighting Collection from outdoor lighting company Reliance Foundry incorporates cutting-edge technology that deserves to be noticed. Using an on-board advanced Energy Management System (EMS) that expertly manages light based on the weather and lighting requirements, this new solar-powered system provides bright and even illumination that is reliable and automatically adapts to environmental changes. The Bollard lamps also run entirely off of clean energy, with each lamp drawing from an embedded photovoltaic panel that generates solar power that is stored for uninterrupted performance. 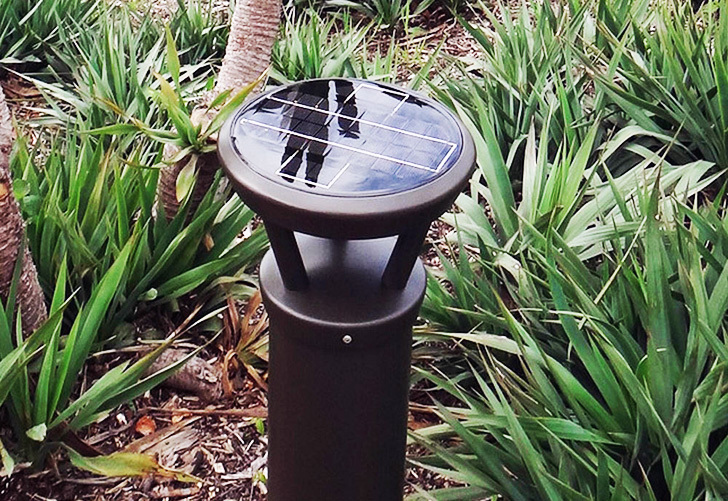 The new lighting system is the most powerful solar-powered path light on the market. Specifications in the world of outdoor solar fixtures can get technical and confusing, but there are a few useful, key attributes to look at when comparing lighting options: light output, durability, efficiency, and level of control. When looking at the light produced (known as luminous flux) with outdoor solar fixtures, understand that not all are created equal. It is a challenge to get a lot of light to shine from a solar-powered lamp, but Reliance Foundry’s bollard lamps manage to defy all of this by ditching the dull and bringing forth a bright and even light with their self-contained, solar-powered fixtures. The bollards provide a luminous flux that allows them to be used in many safety applications. Their new solar-powered lighting bollards are also designed to deliver light in a controlled and uniform manner that makes them highly effective. This light delivery is unique in the lighting industry, and limits stray light and glare. When talking about outdoor lamps, the way that light is distributed is just as important as the amount of luminous flux. 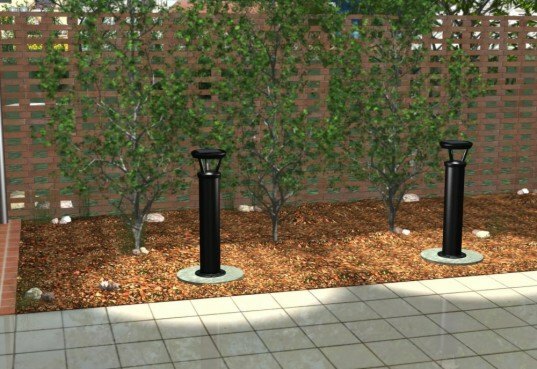 With their solar light bollards, Reliance Foundry uses high-efficiency, purpose-built secondary optics (type V – symmetrical and type III – asymmetrical) for each LED, which focuses the light uniformly onto the ground — the most efficient solution for pathways. Properly focused light will provide for effective illumination while limiting stray light and glare. 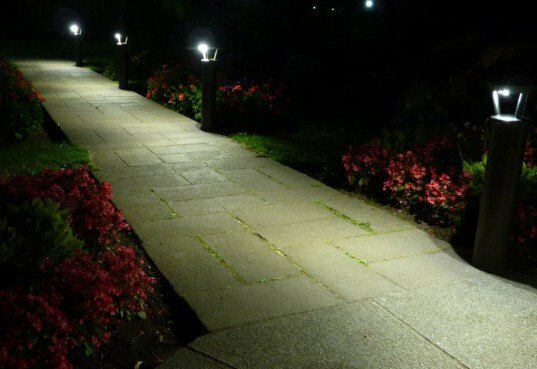 An effective lighting system should provide you with bright enough light for unmatched security, ensuring that all of your paths are adequately lit and every inch is visible. Many solar lighting options emit light in an omni-direction, uncontrolled manner and what results is little to no ground illumination with poor uniformity and often a lot of glare — this is far from safe. Poor light delivery also comes as a detriment to the natural environment. Excess light shining into the sky — what is often termed “light pollution” is widely recognized as an impediment on studying the science of the sky. Moreover, light pollution also severely disrupts the natural patterns of birds and other nocturnal animals. 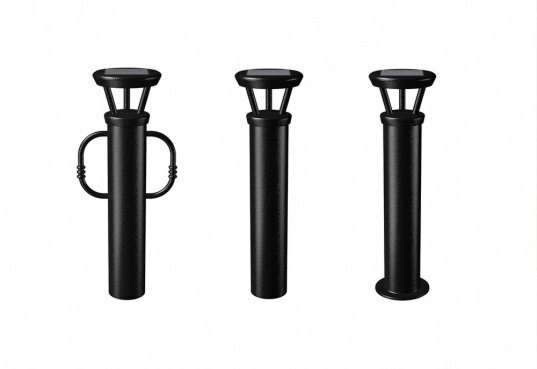 Reliance Foundry designed bollards delivery light downward and minimize disruption to the natural environment. Durability is another quality essential for outdoor lighting, and for Reliance Foundry this means using sturdy materials and lighting technology built to last. Reliance Foundry worked with First Light Technologies in order to produce the internal system for the bollards. “The solar-powered LED light that we developed for Reliance Foundry’s lighting bollard combines durable construction with an intelligent functionality that we believe will make it the industry leader,” says Sean Bourquin, Managing Director for First Light Technologies. For a long product life, vandalism is also another important consideration for outdoor fixture durability. Reliance Foundry’s new solar-powered bollard has an exposed top surface made from rigid polycarbonate, and the bollard cap and base that protect the internal electronics have undergone rigorous testing to demonstrate their resistance to vandalism. Even though the lights will last many years, at the end of their useful life, the lighting bollards’ metal components and their polycarbonate fixture can be fully recycled. Moreover, because the bollards use a pure lead battery, recycling centers are able to recover over 97% of the battery’s components. But despite the aforementioned bells and whistles, it is the intelligent, automated control settings that really set these particular lighting fixtures above the rest. Reliance Foundry’s innovative lamps have the ability to be pre-programmed with five different lighting schedules, allowing energy to be conserved according to the environment in which the lamp is placed. The Energy Management System gives users the ability to pre-select a programmed lighting schedule, and the built-in intelligence in the EMS considers how much solar energy is being received, sensing the environment for weather patterns, so that it can adjust its energy output and ensure consistent delivery of light. This is a huge advantage over typical light sensing solar lights that may not kick on until dusk, and then operate at full power until daylight or until they burn out. If you’re going to invest in a system that will be with you for decades, it’s best to install one that that focuses on efficiency by extending the life of the light system by intelligently monitoring and adjusting energy, while consistently delivering quality light output. If you’re interested in learning more about these lights and where to purchase them, further information can be found at the Reliance Foundry bollards webpage. Nice, But $977 EACH? That's ridiculous. Would love to get something like this for my long, dark walkway. Good to see solar lighting manufacturers designing bollards that are actually powerful enough to light a path at night. There's no use in them being solar powered if they aren't bright enough to serve their purpose. My parents would love this at their house. They have those old-school solar ones, and they are near useless.